Product prices and availability are accurate as of 2019-04-20 09:48:31 EDT and are subject to change. Any price and availability information displayed on http://www.amazon.com/ at the time of purchase will apply to the purchase of this product. 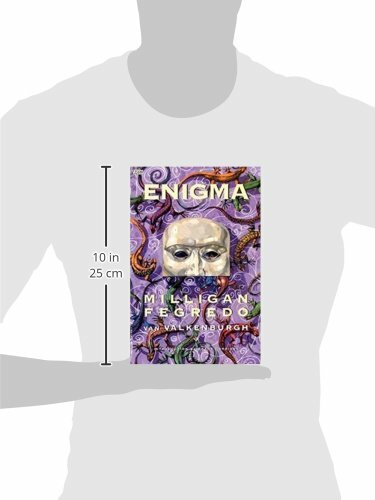 ENIGMA is a thought-provoking post-modern tale of self-discovery and sexual identity told against the backdrop of improbable super-heroes and villains. Michael Smith lives a meaningless life of routine and boredom. 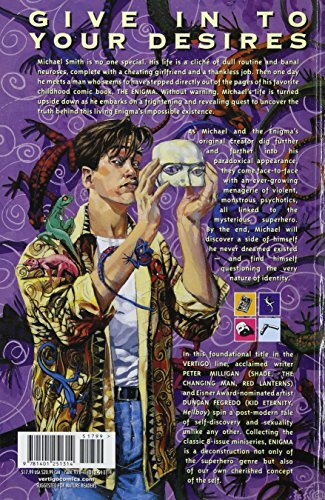 But when Enigma, his favorite childhood comic book hero, inexplicably comes to life, Smith finds himself on an obsessive crusade to uncover the secret behind his improbable existence. Teaming with Enigma's comic creator, Smith encounters an insanity-inducing psychopath, a brain-eating serial killer, and a suicide-inciting clown posse as his quest uncovers hidden truths about both his idol and himself. 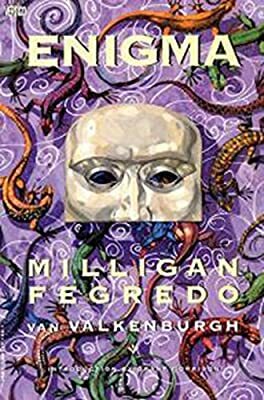 This new edition of the Vertigo classic is written by Peter Milligan (JUSTICE LEAGUE DARK, RED LANTERNS) with kinetic art by Duncan Fegredo (SHADE THE CHANGING MAN).